Come along on our adventure……. 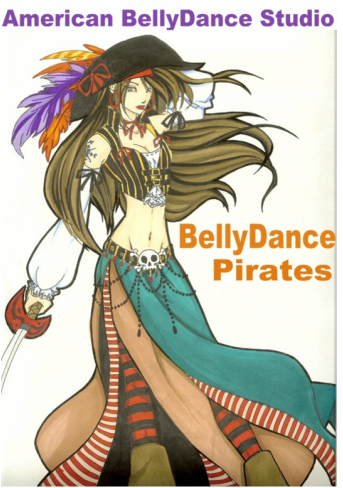 The BellyDance Pirates are sailing to Cozumel, Mexico and the Grand Cayman Islands and its going to be a party! We will sail aboard the Carnival Paradise departing from Tampa for a 5 day cruise! This ship is classic Carnival — fun packed from bow to stern, featuring spaces that amaze, amuse and entertain. Fun indoors, outdoors and everywhere in between, Carnival Paradise features great times in and near the water courtesy of hot tubs, pools and a Twister Waterslide. (Because why not take the waterpark experience to sea?) There’s even bite-sized, yet big-on-flavor, dishes- compliments of The Taste Bar. All meals and snacks are included including room service and midnight trips to the Pizza station. There are multiple restaurants, buffets and specialty food services onboard! Most are fee with your stateroom. I strongly recommend—well no demand---that you go in groups of at least two whenever you are off the ship—for your safety! Although Cozumel and Grand Cayman Island are very safe touristy towns/islands... it always pays to be safe! Remember-- never leave your “wing man”. 8 bars and lounges that never have a cover. on the days we are at sea. If 4 other people want to book a suite, ck with me for availability and prices! Deposit is non-refundable.. but applicable to future cruises is you cancel before cruise is paid in full. But most of all---lots of FUN! dancer or a pirate….but we made turn you into one!! !